After leaving the Freien Waldorfschule (Free Waldorf School) in Stuttgart, Sigurd Rothe studied industrial design at the Fachhochschule für Gestaltung (Vocational High School for Design) in Schwäbisch Gmünd, graduating in 1975. He continued... Read more his studies in the USA and Canada in 1975 and 1976, and worked on a freelance or fulltime basis for various design studios and other design organisations in the period from 1970 to 1978. Since setting up his own design studio in 1979, he carries out development and research projects and makes models and prototypes in various fields such as office furniture, medical and therapeutic equipment, test and measurement equipment, bank and retail systems, signposting systems, exhibitions and trade fairs. In all cases, his designs meet his own criterion that design quality must reflect meaningful integration into the larger system. He has won various national and international awards for his work, including the International Design Prize Baden-Württemberg from Design Center Stuttgart (1999), the Industrieform Award (1988), 'best selection’ office design award 2001 from Design Zentrum, the GOI (good industrial design) award 2001 and 2010 from Designlink Amsterdam, the Red Dot ‘best of the best' product design award 2002 from Design Zentrum Essen and a 'silver award: best of NeoCon 2005' Chicago. 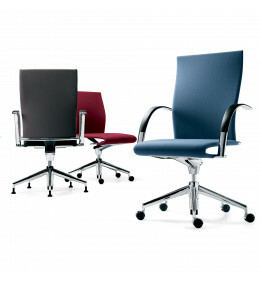 Ahrend 350 Office Chairs with leaf spring technology for superior ergonomic support and comfort during meetings. 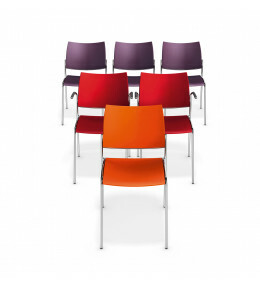 Cobra Stacking Chair for training rooms is available in wood, plastic or can be upholstered.